Every day we field calls from customers asking about installing lights. How do I hang Christmas lights on my gutters? Will magnetic clips work on my siding? 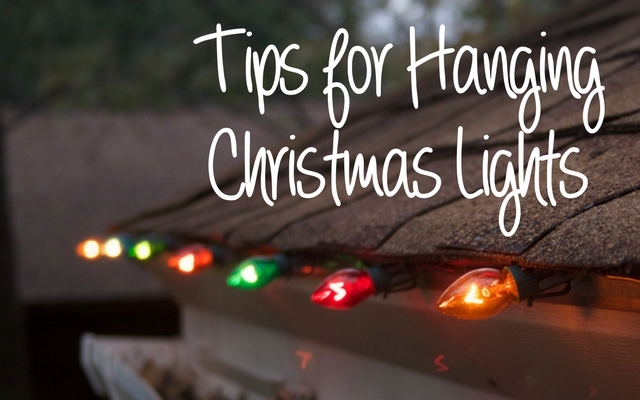 Here are a few of our best suggestions and reminders as you install your Christmas lights. First things first, put pen to paper and use the measurements of your home to estimate how many lights you’ll need. Don’t forget your shrubs, windows, and doors as well as your walkways and rooflines. Locate all of your outlets as you make your plan and make sure that all the outlets you use for your Christmas lights are GFCI rated. If you don’t have access to a GFCI plug, an electrician can install one for you. Always plug your lights into an outdoor rated surge protector – especially if you are using LED lights in any part of your Christmas lights display. Surges on the line are your LED light string’s nemesis. If you live near hydroelectric or geothermal power generation, you may have more to worry about. Start with the male plug end. 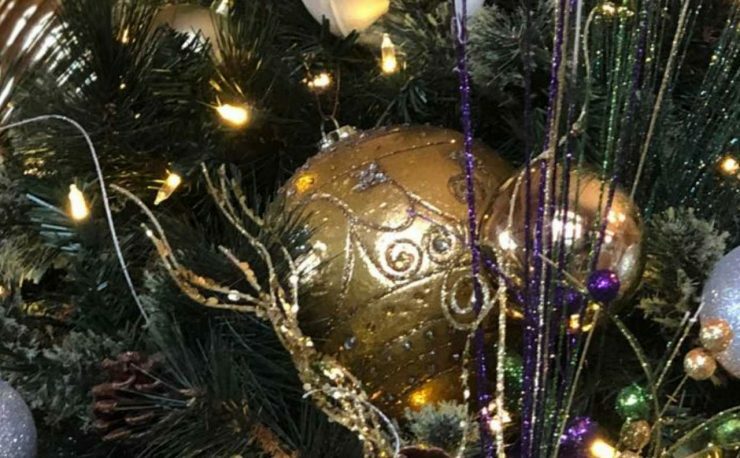 When wrapping trees and columns with multiple strings of small lights (LED Christmas lights or incandescent Christmas tree lights) start with the male end of the cord at the base of the project, wrap up the column and end with the female plug end (if there is one). Then you can just plug in the next string of light and continue. Many times, as trees are wrapped, the tension of the light strings will keep the strings “secure” on the trunk but if your tree is a smooth variety – for example, aspen – you may need to install a product like a Quik Klip that fits any smaller gauge wire light string with a small nail that can be removed after the season. Do not use a staple gun or any other method that could puncture the lights when installing them on trees. If you are wrapping a limb, spiral out with a really long “spiral” because you’ll need to spiral back down the limb to the trunk to keep extension cords in the core-area of you tree. When working with string lights plug them in regularly as you install them to see where you may have an issue or a bare spot. If you started with the male plug – see item #3, this won’t be a problem. When using individual bulbs and cords, install your bulbs and test them on the ground. Reduce the chances that you’ll have to climb back up the ladder and heaven forbid if you’ve rented a cherry-picker that you find out the topmost string of lights has an issue after you’ve returned your lift. When using glass bulbs, order extras to account for breakage in your installation. Many clips do double-duty as shingle-edge clips and flip around to install on your gutters. Most commercial clips work with traditional C7 or C9 stringer wire constructed with 18 AWG wire — many won’t work with pre-wired LED strings. Be sure to understand how the clips you are considering work with your lights. A nice choice for a wide variety of applications is an All Application Clip. It works with traditional bulbs and cords and pre-wired strings. We’ve put together a handy get-started guide based on your application on our Clips and Hooks page. Magnetics are a great clip for metal roofs and for installing C7/c9 cords and bulbs along metal flashing. 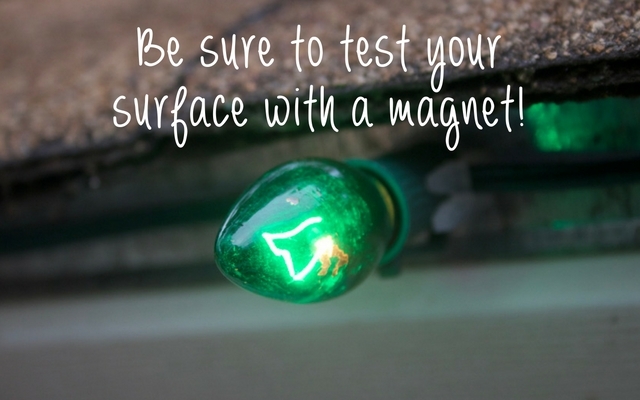 Be sure to test any surface you think might be magnetic with a common household magnet. We’ve already seen a handful of returns this season from folks who were convinced their metal siding would work. Keep in mind these clips work only with 18 AWG traditional C7 and C9 Christmas light cord. They aren’t compatible with pre-wired sets that have a wiring harness that comes out of the bottom of the bulb base. Obey maximum connectivity guidelines – check manufacturer specifications. Currently, new incandescent glass mini lights are UL rated for up to 210 watts of lights maximum series run. 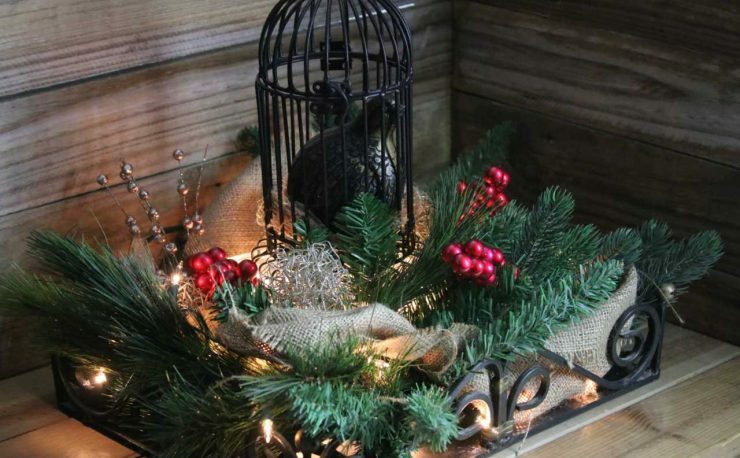 That generally means that for many models of string lights up to 5 strings of 100-light strands and 10 strings of 50-light strands can be run in a single circuit. Remember that LED light strings that are pre-wired with a 2 or 3-wire wiring harness can be run many hundreds of feet but 18 AWG socket cord with installed bulbs cannot be run longer a maximum of 250 feet no matter what bulb is installed – LED included. If you need to run 100’s of feet of lights on a single plug or a single continuous series circuit the LED Christmas light strings are your best and only option. Note, most 50-foot and 100-foot commercial grade C7 and C9 cords are not shipped with end plugs. 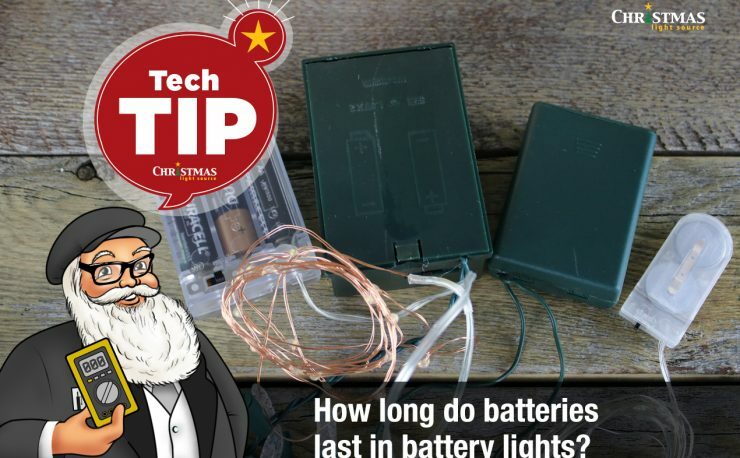 Make good use of T’s and extension cord splitters to install your lights. 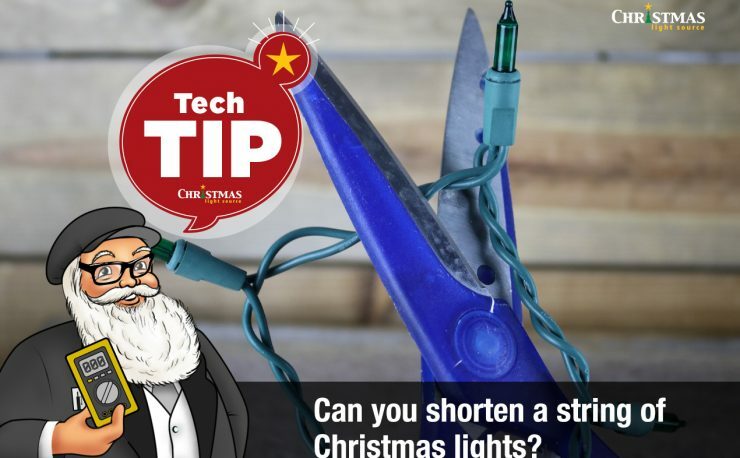 For example: If you need to run 200 feet of lights and are using 100-foot cords with single male connectors, run an extension cord to a center point in your installation and run the two cords out in a T configuration. Be sure to turn off your lights when you leave or before you go to sleep. Take common sense safety precautions. Make sure your ladder is on a solid surface and if your roof is steep call in the professionals. Know your house. If you home has aluminum wiring, you’ll need to consult with an electrician. Your wiring may not be able to accommodate the same electrical load as copper. A Must Do: Hire an electrician to check out the breakers in your service and verify your C7 and C9 cords are properly installed to electrical specifications. We’ve found in talking to folks that everyone has an electrician on speed dial, have an electrician friend or best yet, an electrician brother-in-law. Your electrician will also be able to advise you if your lighting display is exceeding your maximum breaker rating. So, his or her visit should be looked on as a natural step in your Christmas light installation. 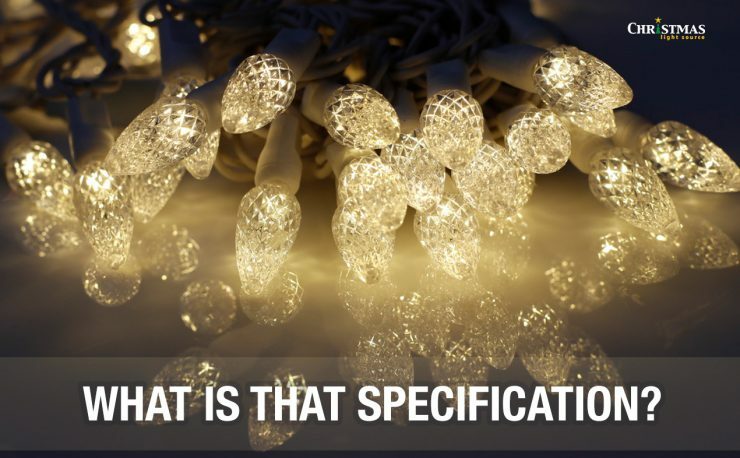 Our final notes: Hire a professional, bonded Christmas light installation company or Master electrician if you have any questions at all about the electrical aspects of your Christmas lights display. I live in an apartment with no outdoor outlet. I bought a connector so I could plug my cord into my porch light. I read that you can use the middle t part of 2 cords to start a new cord of lights. My concern is how many cords can you run off one outlet. I want to decorate all my bushes, outdoor tree, wreath, snowman, etc but only have the porch light as an outlet. Is this safe to do if I use multiple cords and t them off? If so…how many cords are safe? That’s a tricky question without knowing the wattage of all of your lights and the rating of your breaker. Your concerns are valid and you do need to worry about overloading that outlet. Your best next step is to speak with the apartment facilities personnel/electrician to confirm what you can safely run off of your outlet by showing him your lights and plans for installation. Overloading a circuit can be hazardous and cause a fire.